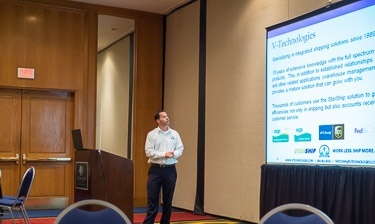 It's a busy travel season here at Website Pipeline, so the marketing guy (read: me) got called into travel duty this past week, as I attended the Steward Consulting Connections event in Tulsa that they put on for their customers. 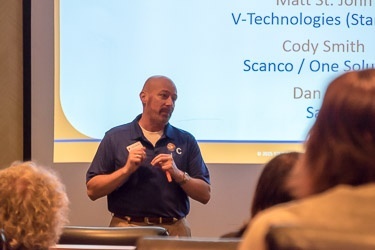 This rookie ran into a couple of real road warriors while making my connecting flight in Atlanta, ending up on the same flight into Tulsa with Cody Smith of Scanco and Matt St. John of V-Technologies. Cody was nice enough to give us a lift to the Doubletree in Tulsa, where the event would be held the following morning. There was, however, a moment in the car when a song playing via Cody's phone froze us all with embarassment - that's all I'm going to say about that. At the hotel, we caught up with Darin Steward, the owner of Steward Consulting, as well as Dan Hall from Sage. 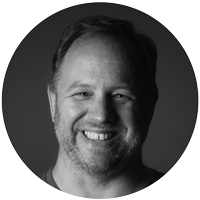 "We believe it’s important to connect with our customers on a regular basis and help inform them of the new versions of the product, the ways we can integrate with other products, and overall help them grow their business with new solutions. Also, we want to provide value to our customers and help them understand how to use the software they own to make their lives/jobs easier. We’ve always found “Tips & Tricks” are the favorite part of the day for our customers." 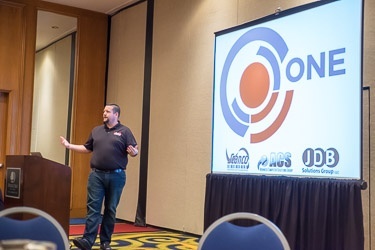 I kicked off the sponsor morning sessions with a presentation on Website Pipeline's cloud front-office platform, and how it helps manufacturers and distributors to get, keep, and grow more customers. My first presentation representing Website Pipeline went well - I had several questions and follow-up questions after the sessions, and no one left while I was speaking! I consider that a victory. "Customers attend our events because they know they will walk away with new information and new skills they can implement in their business the next day. They also gain a better understanding of what will be available to them in the future within their base products as well as what solutions they can add to their systems to improve their business. And, because it’s free and we provide lunch, who doesn’t want a “free lunch”?" After lunch, everyone merged into one session for the afternoon, and Darin took us through many topics, including Sage 100 2015 updates and everyone's favorite session: "Sage Tips & Tricks". After explaning and demonstrating each tip, Darin asked who in the room had known this tip previously. Each time, no hands were raised, so we all were truly learning something new. 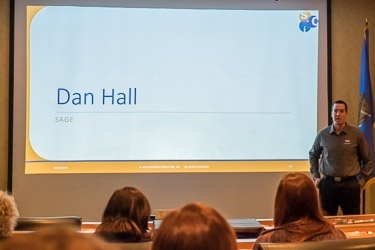 Dan Hall was also on hand to answer questions and spoke briefly to the group. A few prizes were raffled off, and everyone left with something actionable to take back to their business. 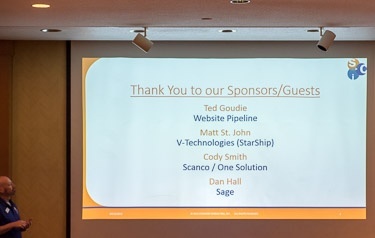 The Steward Consulting team were gracious hosts and put together an excellent event for their customers, and for partner sponsors like Website Pipeline, so we hope to be back at their next event!